A Midland immigration lawyer has been presented with the Pro Bono Award by the Chartered Institute of Legal Executives (CILEx). 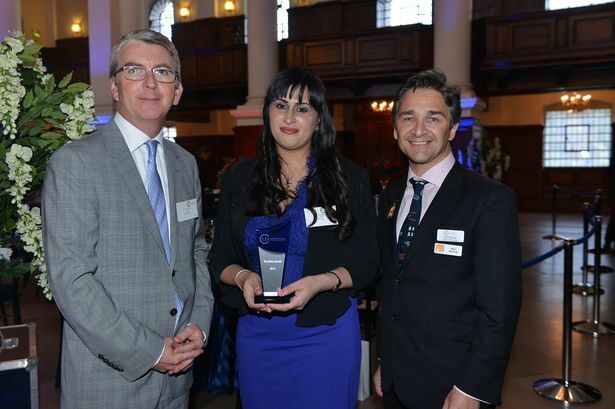 Saria Bashir, partner and chartered legal executive lawyer at BHB Law in Coventry, received the award at the annual presidential dinner in London for giving free legal advice to foreign prisoners and members of her community on immigration and human rights matters. Ms Bashir&apos;s portfolio of pro bono work is extensive and has increased since the legal aid cuts to immigration were introduced. On a monthly basis, she visits foreign prisoners at HMP Woodhill in Milton Keynes advising them of their immigration status. She said: "The prisoners have been severely affected by legal aid cuts and they have such important factors in their cases which if not argued, will mean they will not receive a fair trial which infringes upon their human rights." In addition to her work with prisoners, Ms Bashir represents a client who is suffering from a life threatening condition who will not receive adequate medical treatment if they are removed back to their home country. She has also set up free legal clinics at her offices in Coventry to assist those who cannot meet legal fees. On winning the award, she said: "There&apos;s the sense of personal achievement in assisting people who cannot access legal services. The most rewarding thing about the whole experience is how satisfying it is to provide a solution for the client. "Receiving this award is truly an honour and I am humbled. I cannot express the mixture of emotions I have gone through since learning that I am to receive this award as I have overcome so many hurdles to get to where I am." Chairman of the CILEx Pro Bono Trust, Nick Hanning, said: "As ever, the Pro Bono Award was hotly contested by very impressive nominations any of which would have made worthy winners. "Miss Bashir stood out on account of her longstanding and varied pro bono immigration advice and representation and especially her prison clinic work. "It is very humbling to hear of her dedication and a privilege to be able to show our appreciation of her work. She is a shining example of the very best attributes of CILEx Members." Award sponsor Title Research will donate £750 to a charity of the winner&apos;s choice, Birmingham Children&apos;s Hospital.